Fabrication of our skids will be done in either Jurong, situated in the western part of Singapore or in Batam, Indonesia. 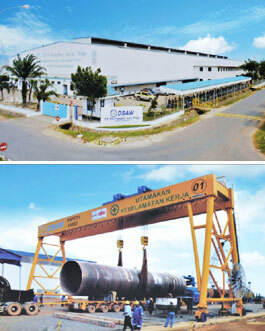 Our affiliated company PT Citra Tubindo Engineering and PT DSAW, under the group is located in Kabil industrial Estate. Both yards are equipped of fabrication of skids and with the Batam yard for fabrication and integration of Modules. Citranusa Kabil Port has a well equipped and maintained facility with 5 berths, office space, warehouses and a large open yard for storage. This port is where raw materials, machinery and equipment can be imported and finished goods exported duty free.